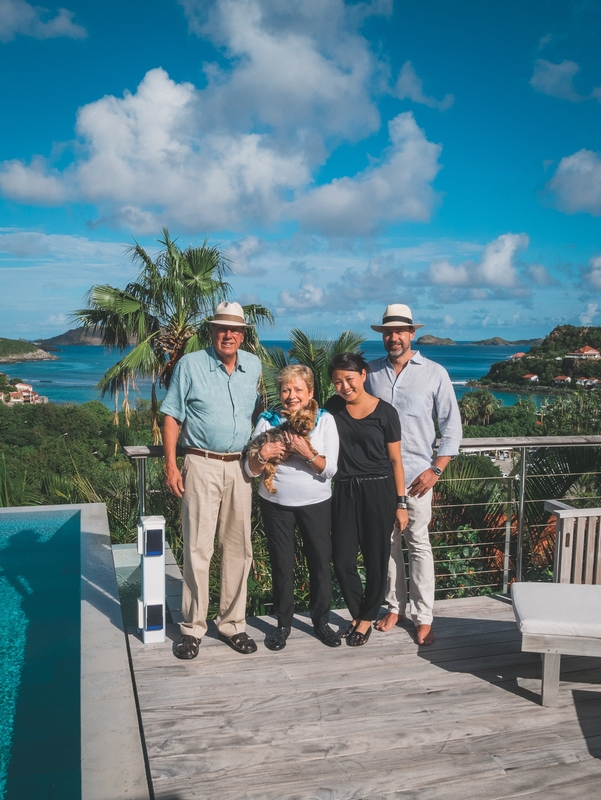 We just returned from spending the week-long Thanksgiving holiday in the French West Indies island of St. Barths. 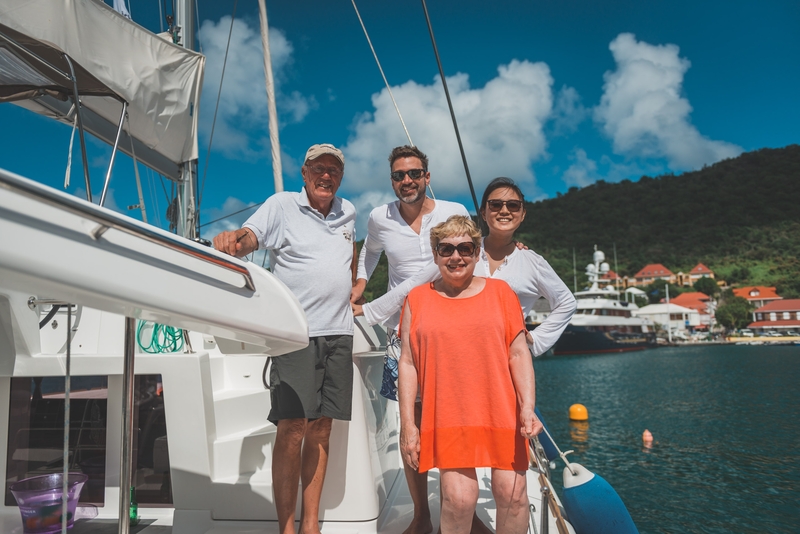 Readers of this site will recall that we spent a week in St. Barths in August, and a day in St. Barths last Thanksgiving while visiting nearby Anguilla. 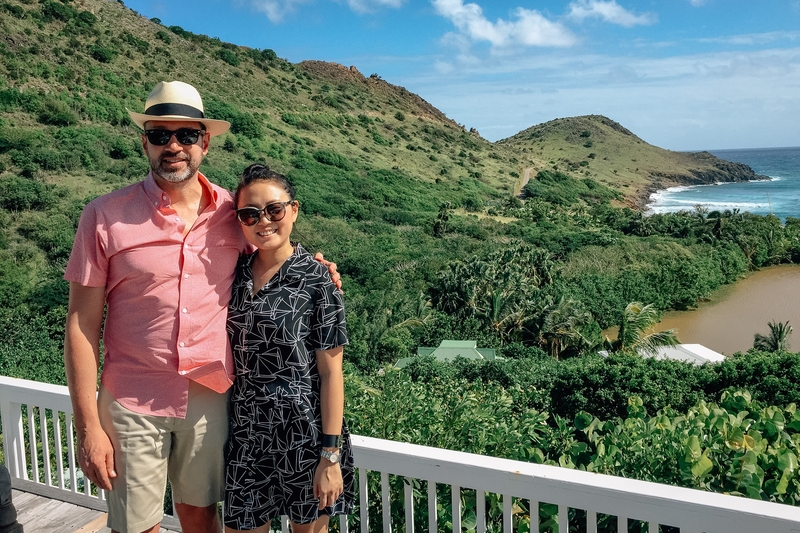 If you can't tell, we like St. Barths; the weather, beaches and food are all amazing. 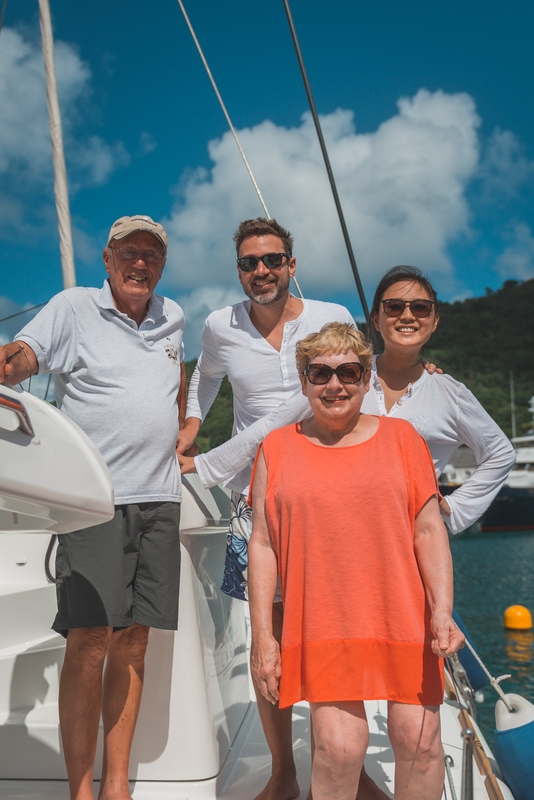 Joining us on this trip were my parents Warren and Lynn from Kansas, and Suki, on her first international trip. 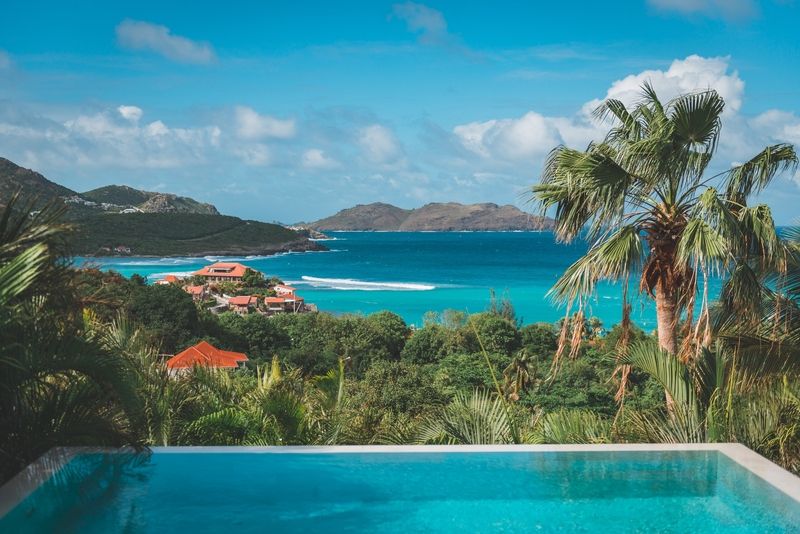 Traveling to St. Barths from New York is easy: a non-stop flight to the Dutch island of St. Maarten takes about 3 hours, and you can find competitive fares on United, Delta, JetBlue, American and a few regional carriers. 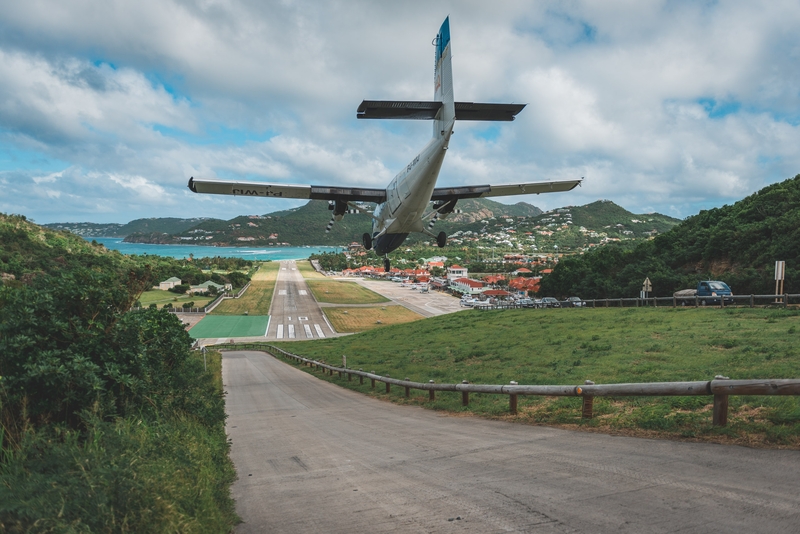 From St. Maarten, you take a short 10-minute puddle-jumper to nearby St. Barths' Gustaf III Airport; statistically the third most dangerous landing in the world. 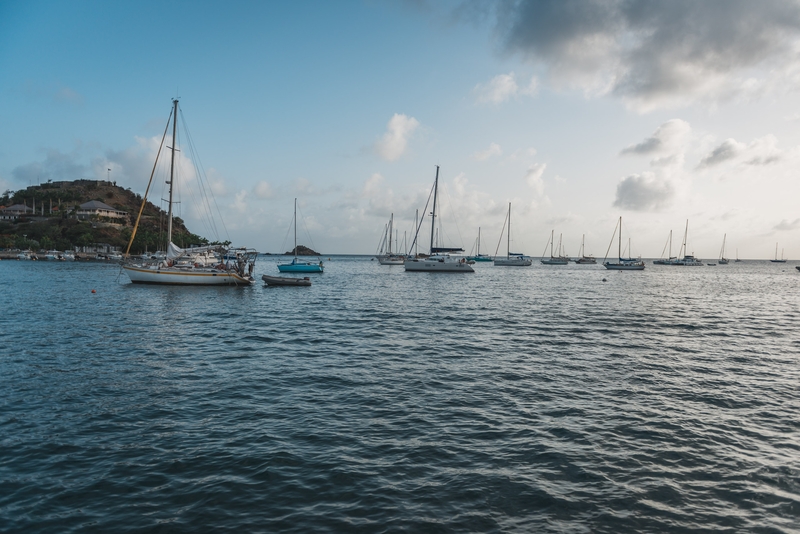 Travelers less inclined to fly can take a 45 minute ferry ride dubbed the "St Barf" ferry due to its rolling surf and nausea-inducing ride. 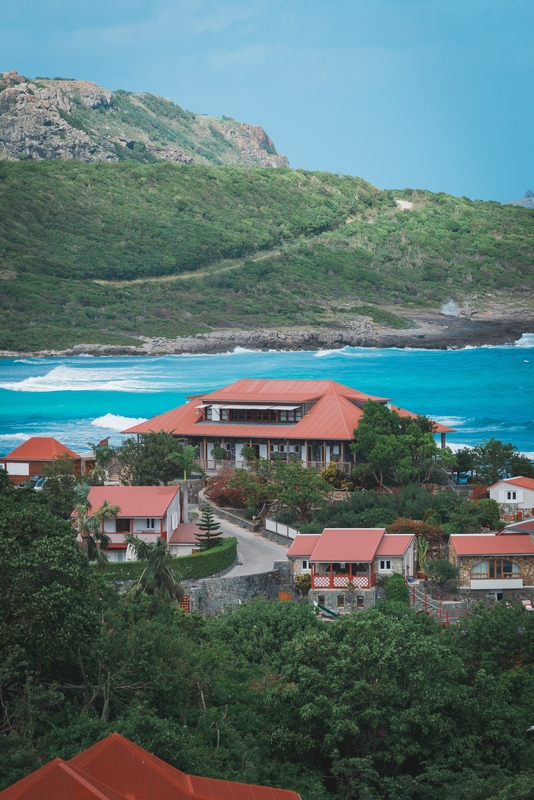 Your arrival to St. Barths via plane will be the most memorable part of your trip. Once on the island, we met a representative from our rental company who took us to the house. 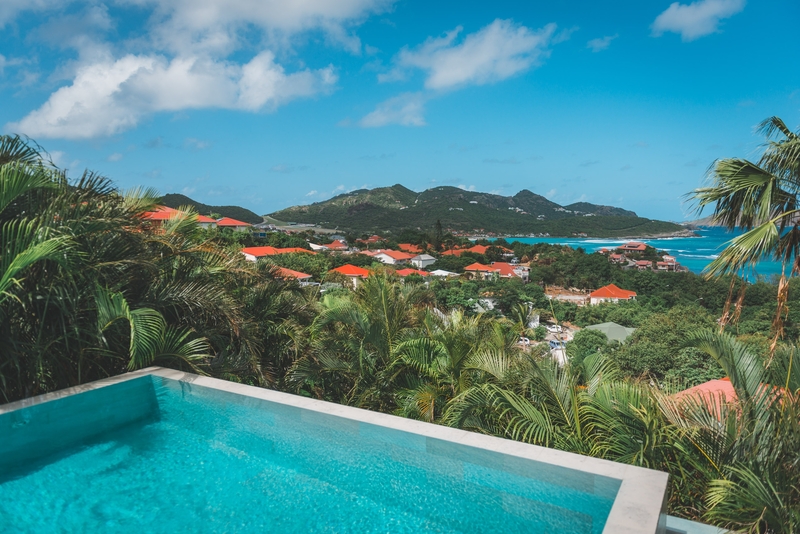 St Barths is home to over 900 rental properties which range from quaint to ultra-mega-luxurious. We opted for nice. 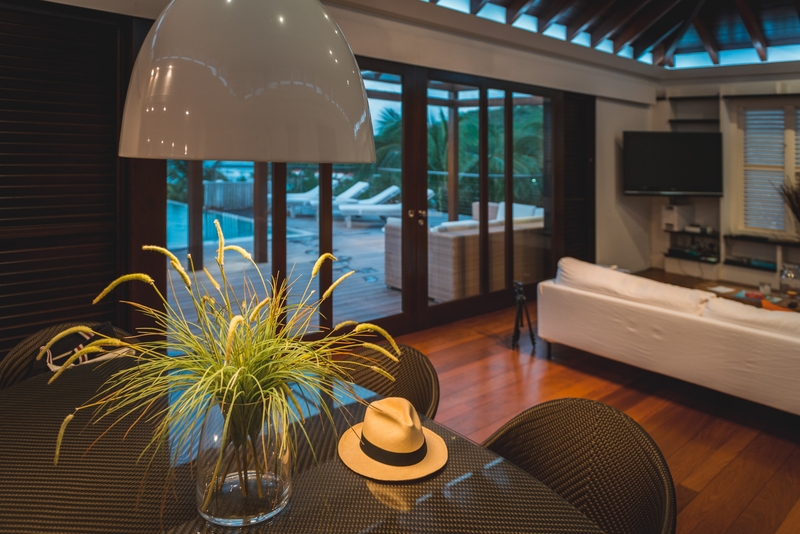 The competition keeps the prices in check, and if you're traveling with four people or more, the villa is a much more cost-effective option as the hotels are quite small and very expensive. We used a company called Sibarth (Wimco is also very popular). The rental companies compete on service as they all carry more or less the same inventory of properties. They meet you at the airport, take care of all your reservations, provide housekeeping, gardening, pool cleaning, and anything you might need. This was our first time renting a house and would definitely do it again. Normally we would leave Suki with friends or family, but since that wasn't an option we looked into bringing her along. It was actually quite easy, and only marginally more work than if you bring a dog on a domestic flight. You have to get a health certificate, and there's some paperwork required by the European Union that has to be endorsed by the USDA. Sounds complicated, but it was only about $65 and the vet handled the whole process. 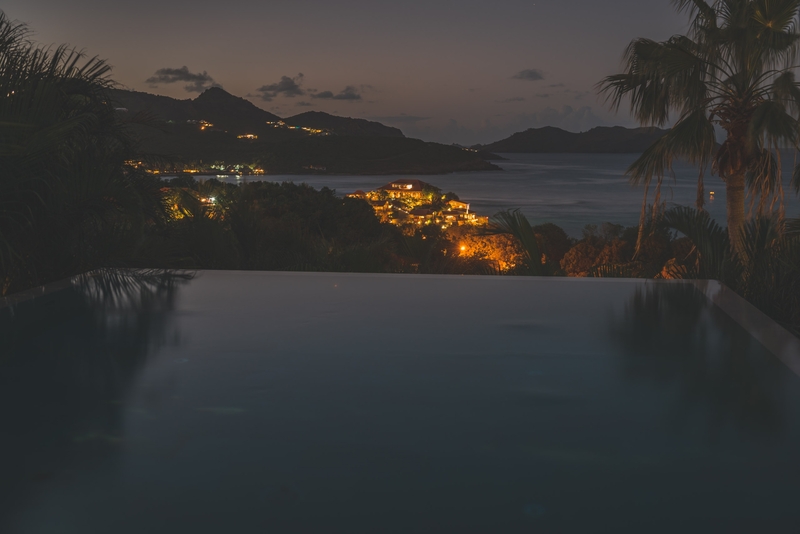 Thus, Suki was off to St. Barths and enjoyed having a pool for daily swimming, including one trip into the ocean. In addition to the dog, we also brought my parents! Surprisingly, there were no direct flights from Kansas City, so we invited them to New York for a few days of local sightseeing and all flew down together from JFK. 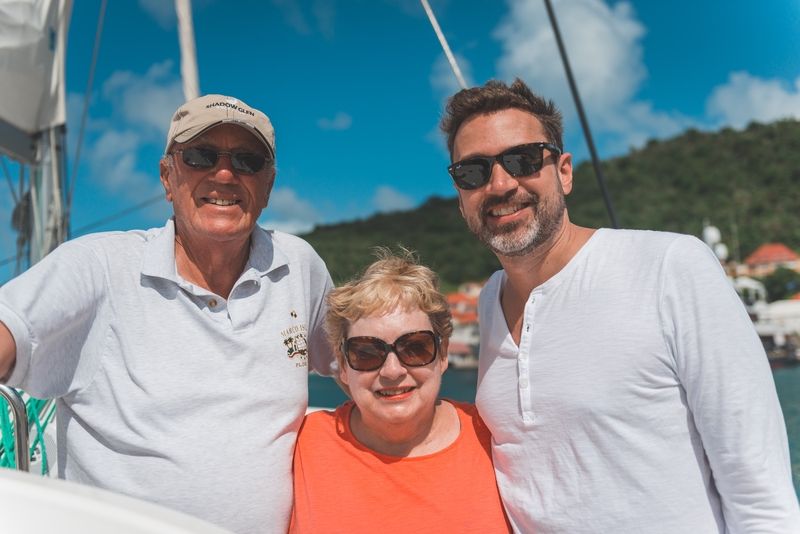 My parents are pretty experienced international travelers, and have been to the Caribbean many times, but this was a first to St. Barths. 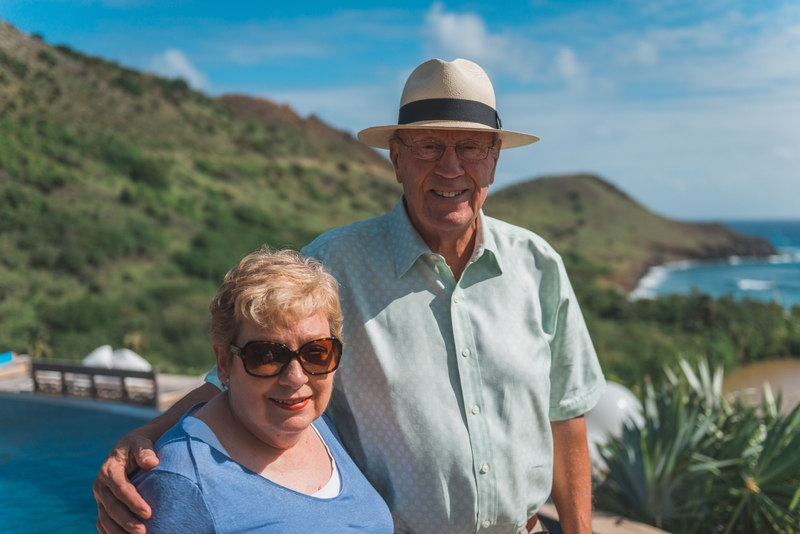 Other than an ambitious dining schedule (see below), we didn't have much planned so it was a nice week to relax, catch up and enjoy the warm weather. 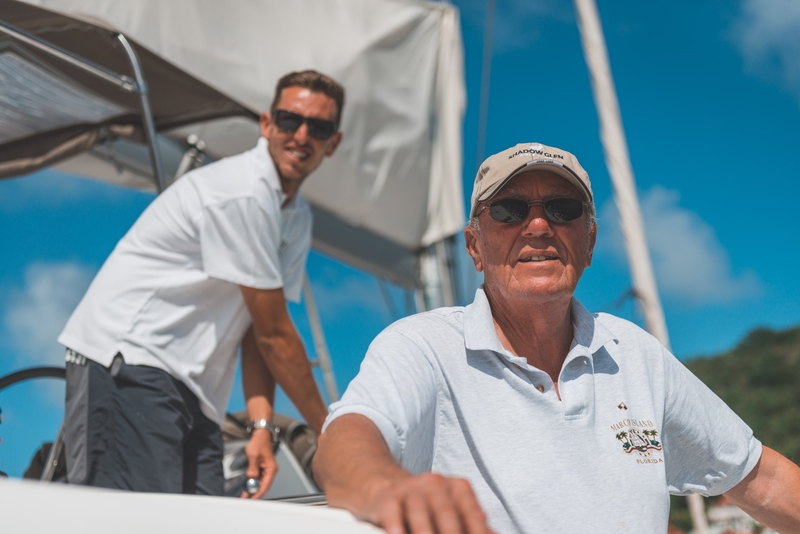 The one activity we had on the schedule that required us to get up and be somewhere on time was a sailing trip to Colombier Beach. 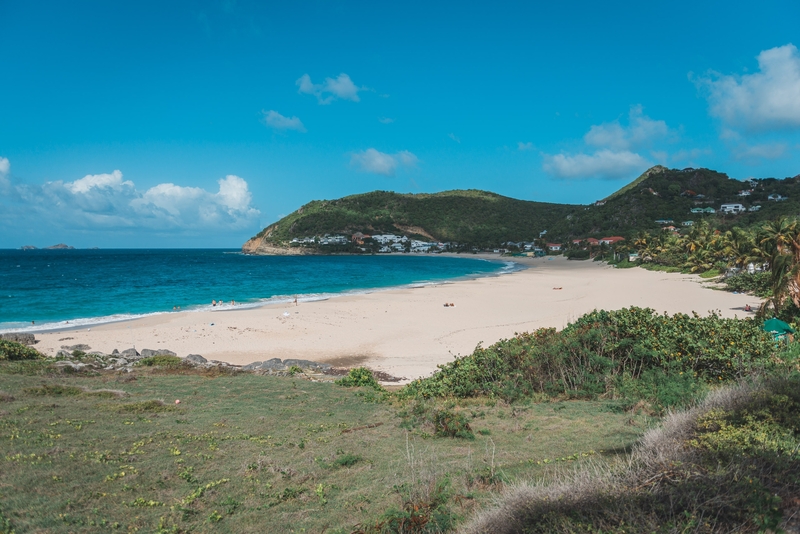 All of St Barths's amazing beaches are easily accessible by car, except for Colombier, which requires a rigorous 45 minute hike along a rocky goat trail and descent among the cliffs to a spectacular and isolated beach. That, or can you sail there. 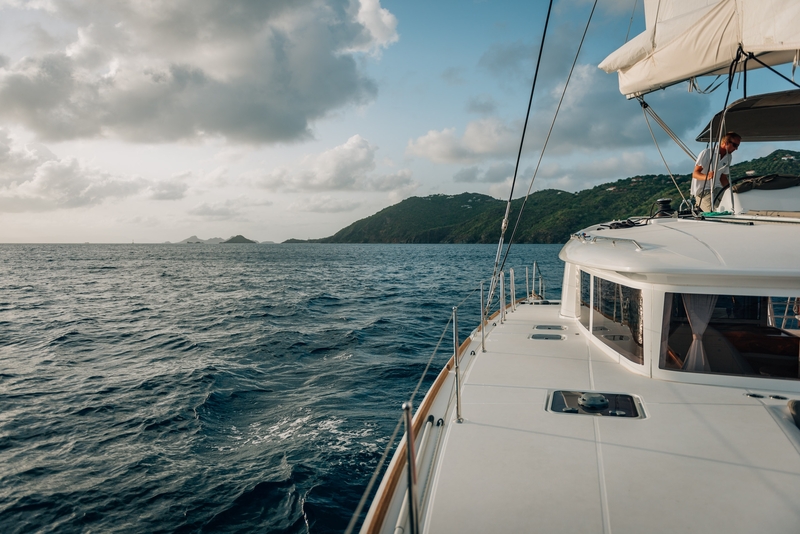 We took the catamaran out for a 30 minute ride and anchored about a quarter-mile off the coast. 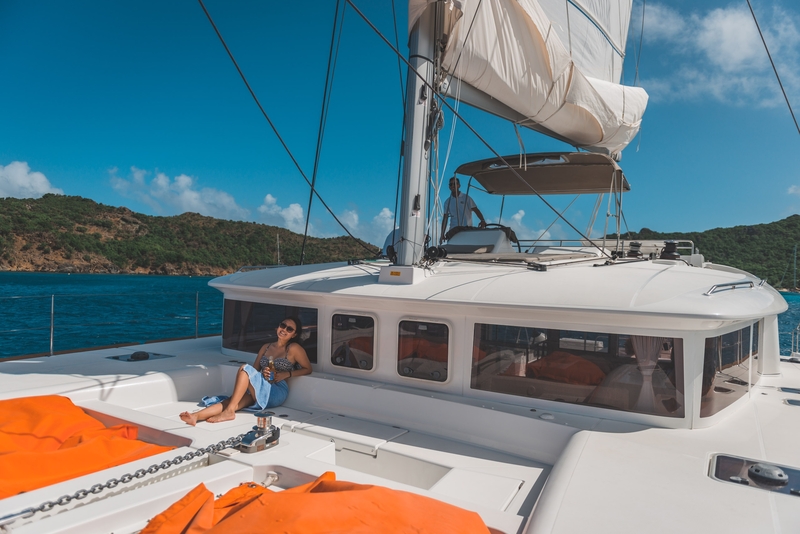 From there we could swim, snorkel, relax and enjoy the boat's open bar (that opens at 9AM). Jessica and I swam to the beach and back, but mostly we took it easy. When we were on the island in August, we took a sunset cruise on the same boat so I've included a few of those photos on here. Back on land, we continued to explore the beaches and stopped by Flamands Beach, but found it a little too rough and choppy. 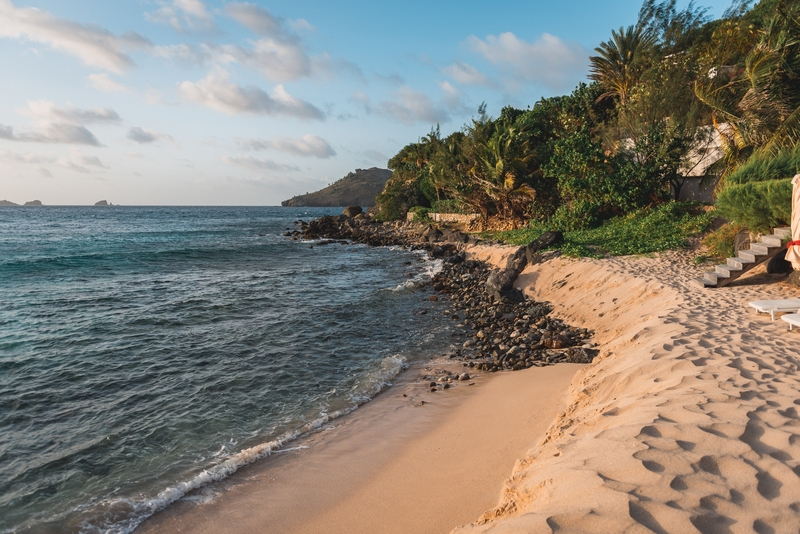 We didn't make it to all the beaches, but hit the ones we really like. 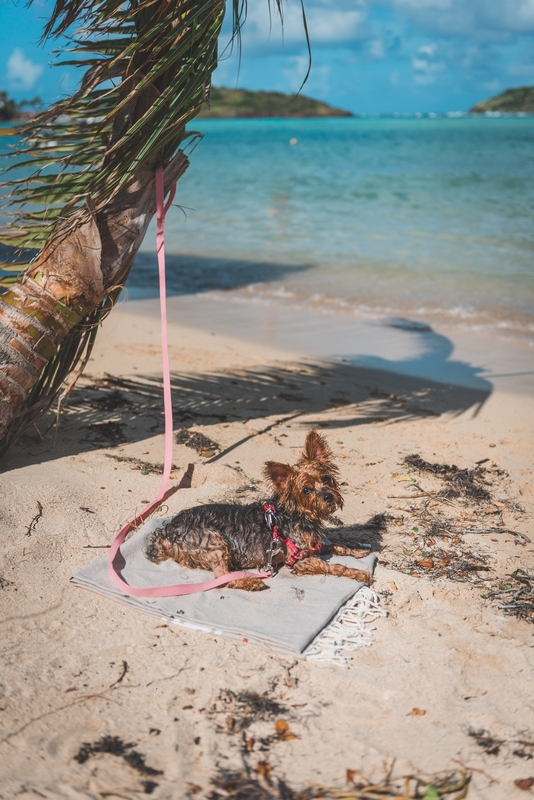 Dogs are permitted pretty much everywhere in St Barths. 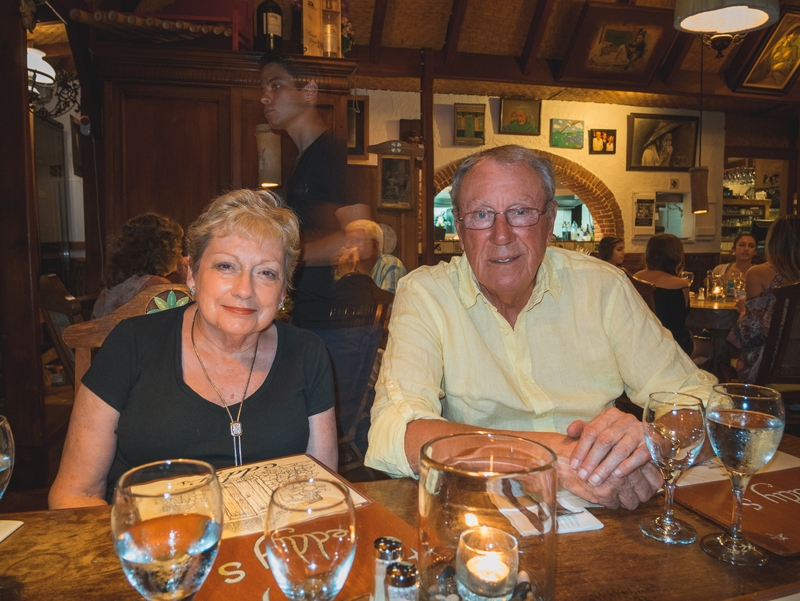 They are welcome in the island's best restaurants, hotels, shops and bars. The only place that dogs are not technically permitted are the beaches, but in typical French fashion, there were dogs everywhere. Suki enjoyed the beach, including drinking seawater and eating sand. She only made it to one beach, but did visit two restaurants and was very well-behaved. 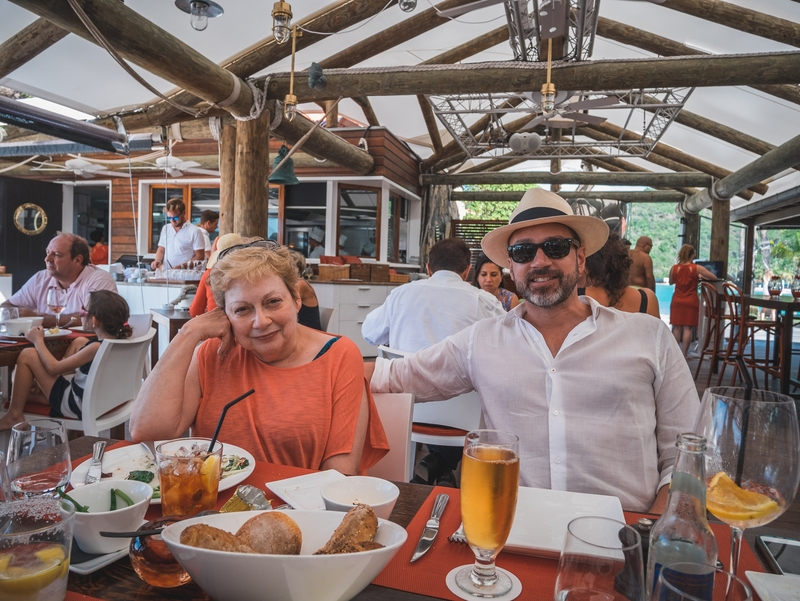 I really can't say enough good things about the food in St. Barths. 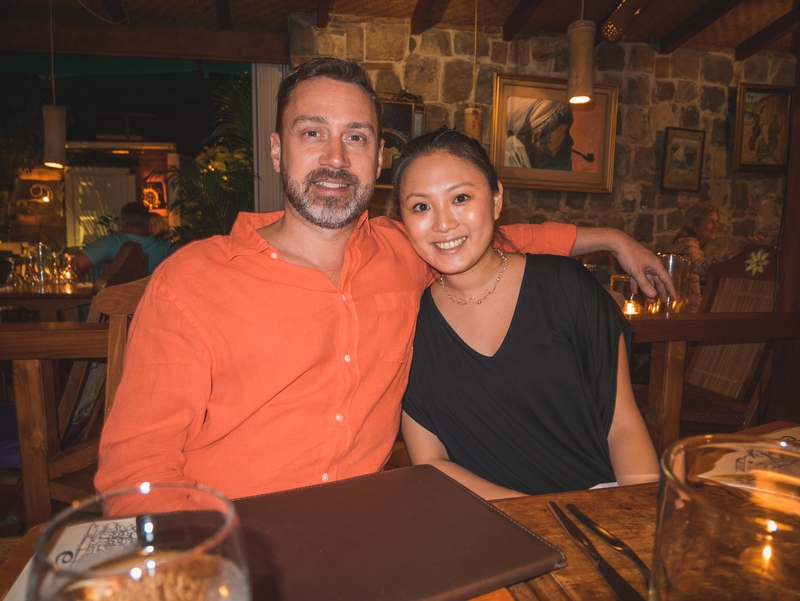 Although we had a fully-equipped kitchen and the island has some terrifically stocked grocery stores, we ate out almost every meal and still didn't hit all the highly regarded restaurants on the island. Meals can be expensive, even by New York standard; plus, you're paying in Euros. The booze is cheap as it's all tax-free, but otherwise set aside a good chunk of your budget for dining and it will be money well-spent. 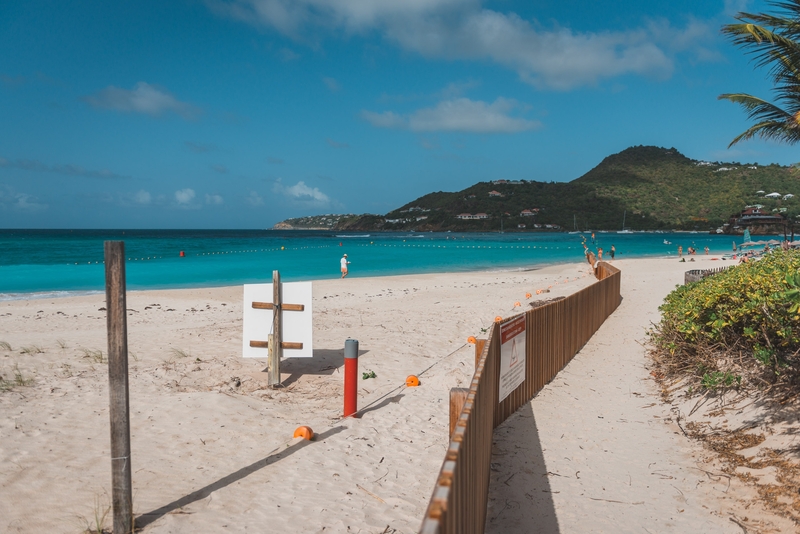 The only drawback to St Barths is they have a bit of mosquito problem. This is actually quite common throughout the Caribbean as they never get a good freeze. I don't know if St Barths is better or worse than other islands, but I don't really recall this on Anguilla. If you ask the rental company to spray and use sensible precautions, the bug problem is manageable. They come out at dusk, but for the most part during the day you won't notice it. With mosquitoes come other troubles like an outbreak of Dengue Fever, but its thankfully uncommon. 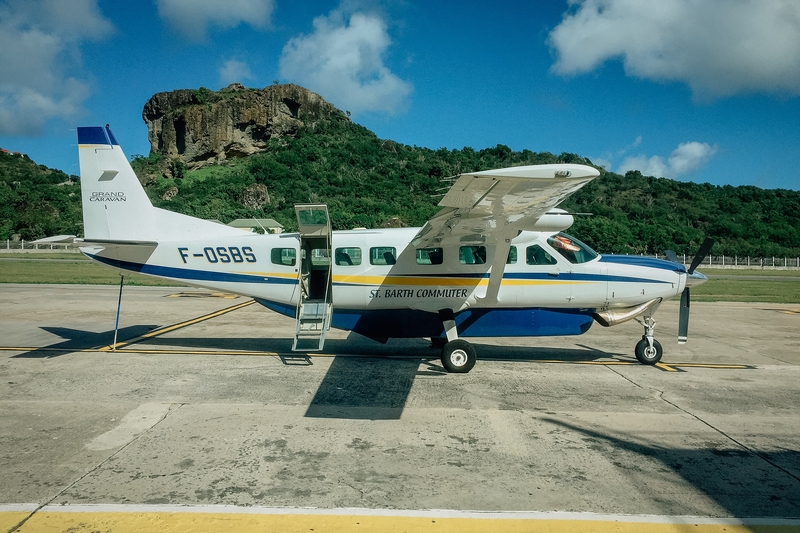 St. Barth Commuter: We booked our return flight on St Barth Commuter; in my opinion, this is the better airline: St Barth Commuter. 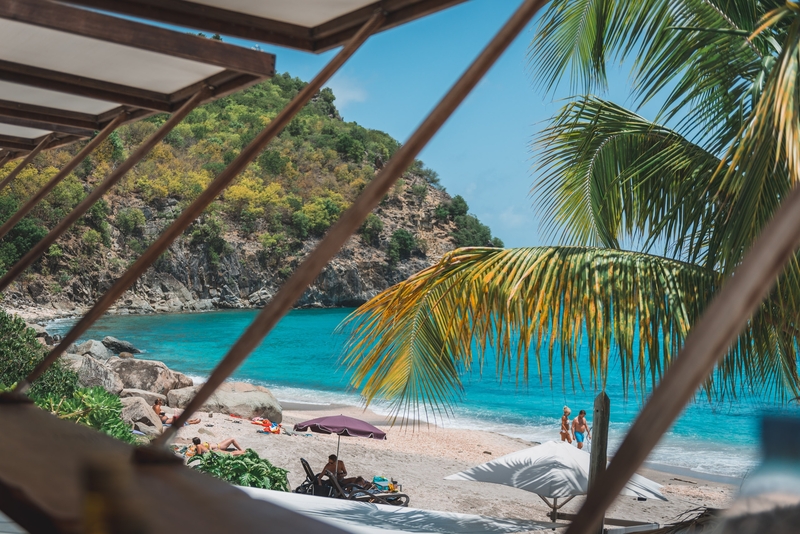 While shopping in St. Barths is not inexpensive, it’s hard not to take advantage of the currently decent exchange rates, not to mention St. Barths is entirely duty free! 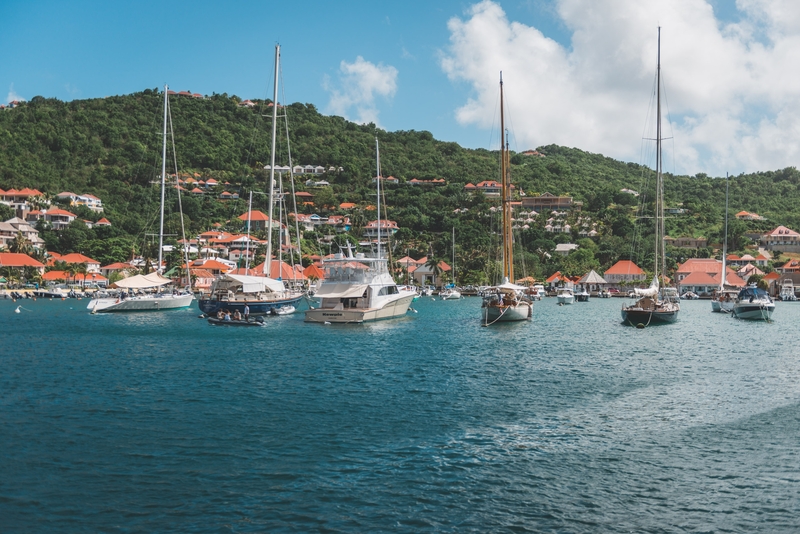 Gustavia has so many stores, it would take you several days to shop it all. There are plenty of high end brands as well as some usual suspect luxury designers (Louis Vuitton, Hermes, Cartier). On the other hand, St. Jean’s shopping villages offer plenty of small, edited shops, with a more bohemian vibe. Not to be missed are also the small boutiques in each of the hotels. 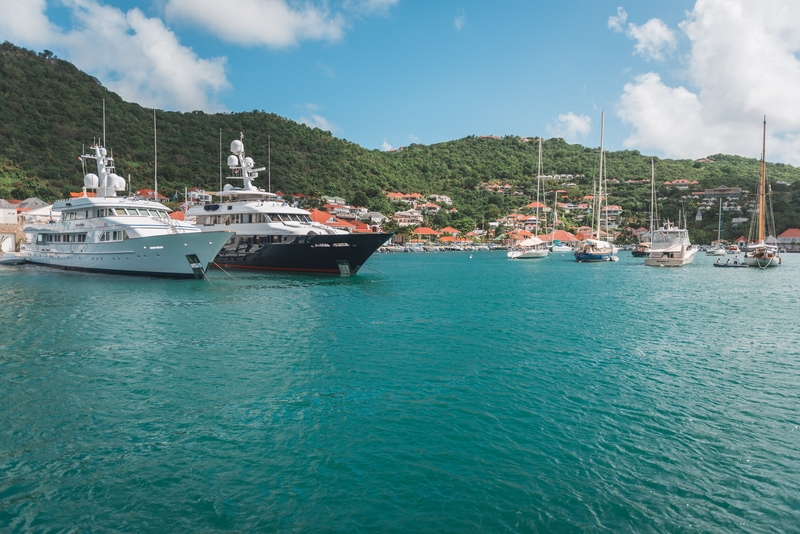 St. Barths is really a shopper’s paradise, if you’re feeling flush. Kokon: Beautiful clothes and shoes handmade in France. Handmade crystal jewelry at affordable prices. Dagmar, the owner, is the best! Couleurs Provence: Fun place to buy gifts in St. Jean. Human Steps: Designer clothes and accessories (a lot of Balenciaga, Giuseppe Zanotti, Prada), but you can’t beat the sales (Miu Miu sandals for 100euros)! Clic: Part gallery, part book store, part clothing/accessories store with a cool, beachy, laid-back vibe.